Here’s a look at the upcoming projects for 2014. If you don’t currently have an active subscription, consider renewing now to make sure you get all three of this year’s projects! This sitting bench’s graceful curves are carved using a combination of power tools and hand tools. We’ll look at various carving implements available to woodworkers as well as alternative options that could make the job easier. I originally designed this bench back in 2005 so we’ll take some time to consider the overall look and how it might be improved upon. 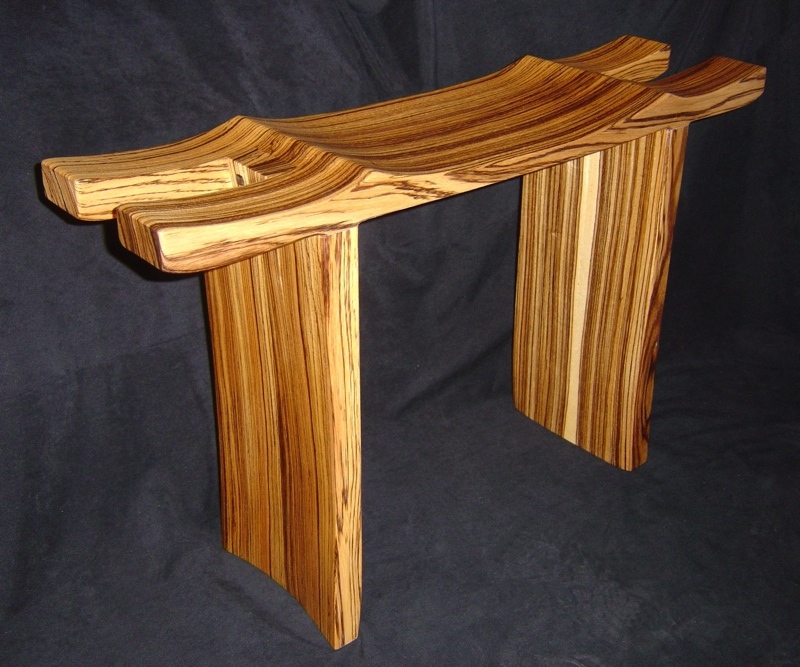 A project like this will not only hone your woodworking skills, but also your eye for design. 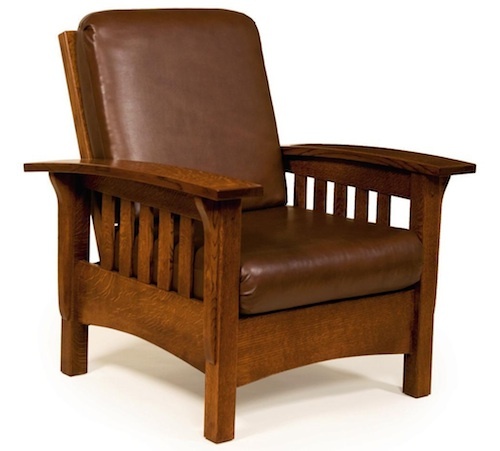 The Morris Chair is a classic woodworking project with a rich history dating back to 1866. The chair features a cushioned seat with a reclining back. 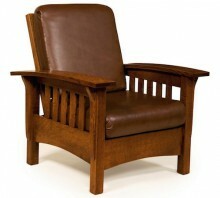 The version of the chair we’re building is a play on the Mission style version popularized by Gustav Stickley in 1904. Pictured left is an example of a Morris chair, but not the exact chair we’re building. 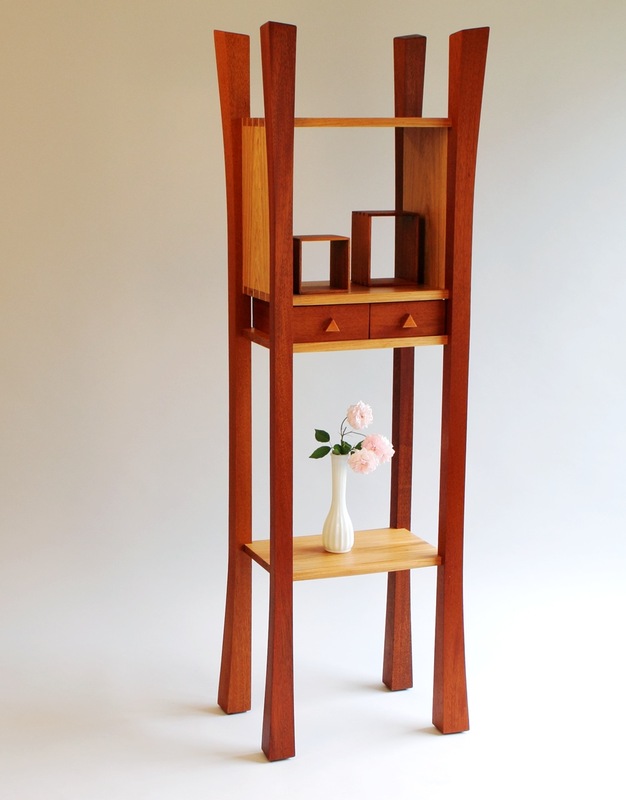 James Krenov (1920 – 2009) is a renknowned furniture-maker who influenced countless modern woodworkers. Krenov is perhaps best known for his amazing cabinets, typically held aloft by a set of beautiful long sweeping legs. Our friend Tom Buhl built his own version of a Krenov cabinet, pictured left, and we’ll make our own version using Tom’s plan as a starting point. Keep in mind that if you aren’t interested in all three projects, you can simply pick and choose your projects throughout the year via our A La Carte system. But if you are interested in all three projects, the yearly subscription is definitely the best deal. Assuming we price all three projects at $65, that’s a total cost of $195 vs the Standard Subscription price of $129. Whenever I’ve seen examples or projects for a Morris chair, it has always been in quarter sawn oak. I take this to be the traditional choice but has there ever been any consideration of other wood species to use. Is there an issue with strength for the particular application that dictates the use of oak? 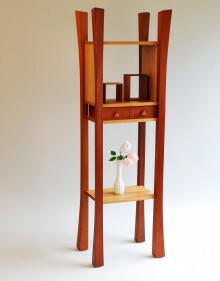 I was considering making a chair for my wife (as well as myself) and was thinking for hers to use some type of figured maple or other light colored wood with complimentary upholstery to yield a more feminine product; not so “rustic” looking. As long as it’s well-built, I don’t think it matters what species you use. I’m going with Cherry myself. My guess is that QSWO was used primarily for appearances. So if you want to take the look in a different direction, don’t hesitate to go with a different species. Marc, knowing your preference to a more modern style of furniture, I am guessing you are looking at a “California Mission” type Morris Chair. That being with the reverse taper legs and such. If this is so, will you have a more authentic Mission style Morris plan available as well? While we won’t be providing more than one design, all Morris Chairs are pretty similar in design. So our plan will be easily adaptable to whatever modifications you’d like to include. And we can certainly make this part of our discussions on the design choices made for this piece. Most pre-made dowels that are used for doweling jigs are a light colored wood, do you think dowel stock cut down to size would work if I want wanting a contrast in color? Even the same species would provide a subtle contrast in color because it’s end grain. So I don’t need to use the dowels they sale by the bag. I can just pick up a dowel rod, cut it to size, and use that? Both for through dowels and non-through dowels. Purchased dowels can sometimes be better because the are both textured and ribbed in such a way that they let air escape the joint. Dowel stock won’t do that so it could potentially be problematic for joinery purposes. But when capping off a screw or something, a dowel rod would be preferred since it provides a nice clean border. Commercial dowels trimmed flush would look pretty bad. Ahh, I understand. Thanks for the info. I am looking forward to the chair build. Will you be getting a kit together with Bell Forest? I know it is a ways off, but have you thought about having them list the kit early? That way those of us that need to can save up and have the kit purchased by the time the guild starts so we can follow along? Also, is there anyway to purchase the current guild project for us a la carte people? Honestly, we get our cut lists over the Bell as soon as we have them. I hope to be a lot more punctual in 2014. Most times, folks have their kits by the the time we’re cutting wood in the videos. As for the current project, you can simply go into the purchase page and purchase it. Do you not see it in the list of available projects? I understand your busy and you send it as soon as you can. I was just thinking out loud I guess. Some of the kits are up in the $300-$400 dollar range and I know there are other people as well as myself that want to start on the chair with you but can afford that much on materials 2-3 weeks before it is set to begin. So if we knew the price a couple months in advance we would know what we needed to save. Yes, I see it now. I guess I was mistaken. I thought the current project was at a reduced rate or is it before it begins that is is cheaper? I probably am wrong all around, I am just getting into the whole guild thing. The humidor was the first one I have been around for. Although, I will be purchasing the Blanket Chest in the next few days and making it into a toy box for my boy. Due to the general logistics of a one man show, I have to be honest and say that it isn’t likely I’ll have cost estimates available that early. That’s a great idea though and certainly could be something for us to work toward. Ultimately, any decent-sized project is probably going to run in the range of $250-$400 for a kit. I’m going to attempt to cut the mortise and tenons but if I start butchering it would dowels make a reasonable substitute? I know some pieces will require more than one dowel. Oh and I’m talking about the Morris Chair. Great lineup! I do have one request – when you do the Morris Chair, can you have the plans include the option to use Dominos instead of a lot of the M&T joints? I just finished the Greene and Greene Adirondak Chair and using the Sippo Dominos really simplified the build. I don’t think I’ll include Dominos in the plan itself since it’s a fairly exclusive tool. But the good news is that any plan can be modified with ease to incorporate Dominos. Simply cut your parts without tenons and mortises. Find their center-lines and plunge away. If you’re familiar with the Domino’s setup and function, which it sounds like you are, you’ll have no problem substituting the Domino. Especially on a Mission style piece, it will be a piece of cake. And if you have any issues along the way, I’ll be here to help.